Another quality of Martial Arts champions, posture and its parallel human quality of honesty. In Martial Arts, good posture improves balance and increases power. Maintaining precise balance enables you to strike in a wide variety of ways and defend attacks from all angles. Good posture is a key component of the body's geometry that enables you to produce maximum power. The parallel human quality to posture is honesty. When most people think about the concept of honesty, they think about being honest with others. 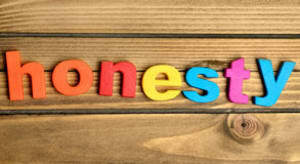 Being honest with others is vital, but it is equally important to be honest with yourself. Honesty is the core of integrity and you simply can’t have high integrity if you’re not truthful with yourself. So let’s develop honesty in life, just as we develop good posture for our Martial Arts.